Enhance your home with the NS-C444 high performance home theater speaker. Yamaha's NS-C444 center channel speaker system has been designed specifically for home theater applications. The speaker is an acoustic suspension design and incorporates dual 5" polymer-injected mica diaphragm cone woofers and a 1” aluminum dome tweeter. For improved imaging, the tweeter utilizes Yamaha's exclusive waveguide horn. Unlike most homes, movie theaters use sound absorbing materials on walls and ceilings. The result is that the sound reaching your ears is the sound wave produced by the speakers rather than reflected off the walls. Yamaha has created waveguides that greatly reduce reflected sound and increase the proportion of directly generated sound waves reaching your ears. The result is a clear and precise sense of sound direction and placement. Yamaha has chosen to ensure optimum sound quality by internally wiring some of the components with Monster Cable. This ensures a clean, clear signal from the crossover network to the speaker driver. The speaker is magnetically shielded, so it can be placed on a TV or video monitor without degrading the picture via stray magnetic fields. 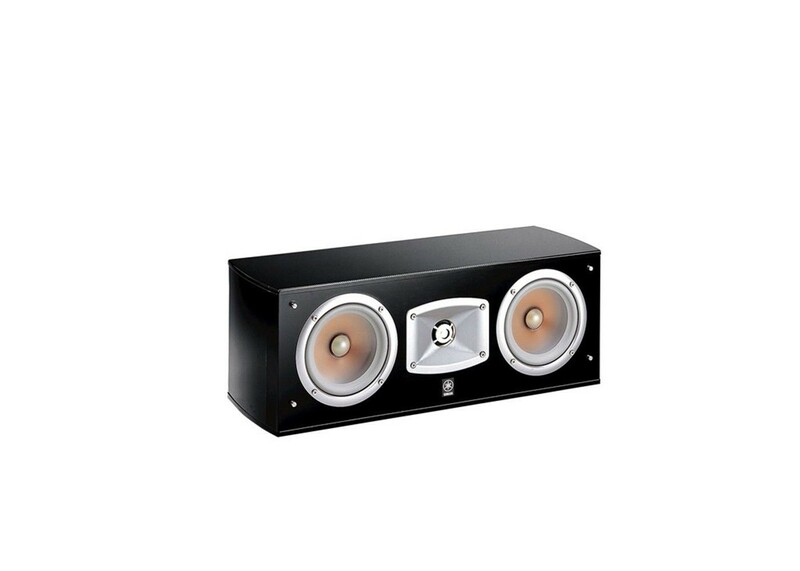 The EF series speakers are enclosed in an elliptical form cabinet with a high gloss black piano finish, which provides solid construction with minimal sound diffraction. New grill design and grill cloth provide an attractive and acoustically transparent protective cover for the drivers. Product Dimensions (W x H x D): 20-1/4" x 7-1/2" x 8-3/8"